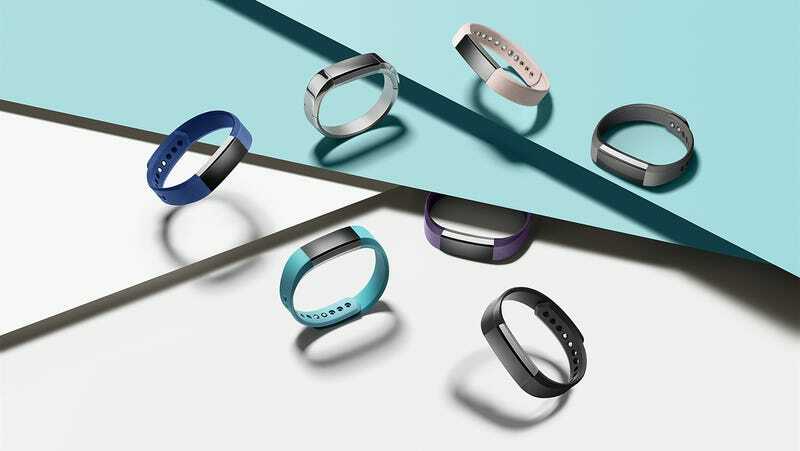 At CES Fitbit released the Blaze, a different type of fitness accessory that was as much focused on fashion as fitness. Fitbit seems to be running with the idea, literally, with the new Fitbit Alta bracelet. The Alta packs in a lot of the convenient features that also made their way to the Blaze. The biggest one being its SmartTrack automatic exercise recognition, which can immediately figure out what exercise you’re doing so you don’t have to fiddle through unnecessary on-wrist menus or pull out your smartphone. That helps especially on the Alta since its more spartan OLED display is designed to keep things simple. Beyond that, the Alta does everything any other tracker in its class can do, including provide weekly exercise goals through the Fitbit app, activity and sleep tracking, and occasional reminders to move if you’ve been stubbornly inert for a period of time. Like the Blaze, the Alta comes with a reported five days of battery life and will also have a collection of different bands ranging from a sweat-wicking plastic ($30) in black, blue, teal, and plum colors, along with leather ($60) and stainless steel ($100). The $130 tracker will be available for pre-sale today on Fitbit.com and tomorrow at Amazon, Best Buy, Walmart, and other sports retailers. The tracker will ship sometime in March. The future of Fitbit in 2016 is abundantly clear. The company wants to retain the title of wearable champion while trying to create something people want to wear outside the gym. We won’t know if Fitbit can actually pull it off until we can get our hands on one.